University of Arkansas Pulaski Technical College appears in our ranking of the 10 Best Online Colleges for an Associate’s Degree in Hospitality. The School of Technical and Professional Studies at University of Arkansas Pulaski Technical College offers several programs for hospitality management majors. Students can earn an online Associate of Applied Science (AAS) with a concentration in hospitality management. This program features 21 credits of general education classes and 36 credits of hospitality management classes. Some of the required classes in hospitality management include Applied Foodservice Sanitation, Dining Room Operations, Lodging Operations, Food Production for Hospitality and Food and Beverage Management. The practicum that students do will help them develop stronger practical skills. Students will also choose two hospitality electives. In addition to the degree program, University of Arkansas Pulaski Technical College offers a hospitality management technical certificate online as well. This includes 24 credits of culinary arts and hospitality courses, including The Restaurant Industry, Introduction to Hospitality and Professional Beverages. 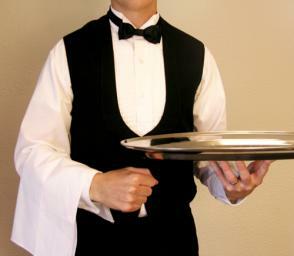 A hospitality and bar operations certificate is available for those who want to work in restaurants and clubs. It includes many of the same classes but also includes a course called Professional Beverage and Mixology that teaches students how to mix their own drinks for customers. The Fundamentals of Tourism is a unique course available in the college’s hospitality and lodging operations certificate program, which teaches students how to run hotels and lodging facilities. There are also certificates available in hospitality and restaurant operations, professional study of spirits and mixology and wine studies and service. The wine studies program prepares students to work in vineyards and wineries. It includes classes such as Professional Wine and Beverage Studies and Food and Wine Pairing. University of Arkansas Pulaski Technical College also offers an AAS in Culinary Arts or Baking and Pastry Arts and some related certificate programs, including certificates in food purchasing and inventory and cake decorating. The University of Arkansas Pulaski Technical College is one of the only community colleges within the University of Arkansas system. Founded in 1959 as Little Rock Vocational School, it started life as a small school that offered vocational training programs in a handful of fields. Many of those programs offered the practical training that helped students immediately find work after finishing their classes. It became the Pulaski Vocational Technical School in 1969 to show that it offered both traditional vocational programs and some new technical programs. The school also served as the Pulaski Technical College from 1991 to 2017, which is when it became University of Arkansas Pulaski Technical College. The college also uses the name UA-PTC. As part of the UA system, the college now makes it easy for students to transfer their credits into a bachelor’s program in any University of Arkansas school. Students can also complete vocational or technical training programs through a two-year degree program or earn a certificate in a year or less. The college has an enrollment of more than 6,500 students. UA-PTC has plans to increase that enrollment and the opportunities available on its campus and online in the coming years. UA-PTC gained accreditation from the Higher Learning Commission (HLC) before becoming part of the UA system. This serves as the regional accreditation that lets the college award the certificates and degrees that students earn through its programs. It can also accept transfer credits and let students take their credits to another college. UA-PTC has its own review committee to make sure that it can pass the renewal of its accreditation every 10 years. The UA-PTC Campus Portal contains a full checklist that helps students see what they need to do to apply and what they need to submit. New students must create an account with this portal. They can use their accounts to submit their applications too. They can then visit the campus in person and drop off all required documents. The college will also accept documents sent through the mail, but it will not accept any information sent online. It asks for both college or high school transcripts and an official ACT score. The college will only accept those who scored 13 or higher on the ACT’s reading section or students who scored similarly on the Accuplacer. It also requires that students submit a score that is no more than five years old. Students born in 1957 or later who want to take classes on the UA-PTC campus must provide their immunization records too. The college requires that students have two MMR vaccines that protect against the measles, mumps and rubella. It gives students up to 30 days after the semester starts to submit those records. UA-PTC allows students to log into their accounts to see if the college received any of their records or if they need to submit any additional information. Students pay a specific tuition rate based on where they are Arkansas residents. Residents pay $133 per credit hour. They will need to submit proof to the college that they are full-time residents of the state and that they lived in Arkansas before they applied. All other students qualify for the college’s nonresident rate of $173 per credit hour. Students pay fees of $57 per credit hour and will face other fees when they take certain courses. The college charges a $12 per credit hour fee for all distance education students and a $145 per class testing fee for nursing majors. UA-PTC has an online payment portal that makes it easy for students to pay their tuition and fees. Students who need financial help should submit the FAFSA by May 15 when applying for the fall semester. While they can apply for financial aid later in the year, the college awards funds on a first come/first serve basis and may not have any aid left later in the school year. Not only can students use federal loans and grants to pay for college, but they can also take part in the work-study program. The college offers scholarships for students who have a GED and a chancellor’s scholarship that covers tuition and fees for students. They can renew this scholarship every year too. The University of Arkansas Pulaski Technical College recommends that hospitality management majors apply for both scholarships and government aid.